Home apps latest social media Is Snapchat Doomed? 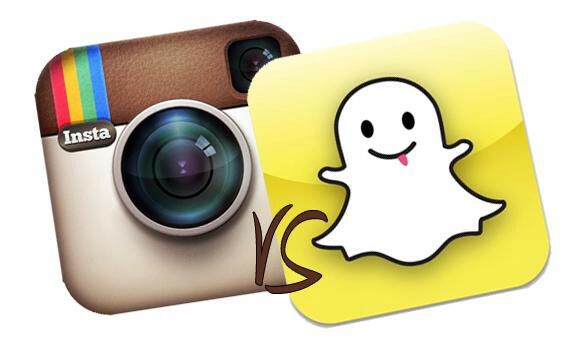 Snapchat is a hugely popular app that aside from lenses and things, doesn't update very often. It's got a good publication feature with Discover, it has a decent chat space and you can not only send photo and video messages but make video calls too. It's all great and can be very useful but it might be about to fall behind. The longer Instagram Stories is out, the more popular it seems to get and the more ways users are pointing out that it's better than Snapchat. One of the main qualms is that you cannot easily find and add friends on Snapchat. You can't search someone out as you have to already know their username or have their Snapcode. This can work out and it means if you're using Snapchat with someone, you can add them easily. What's not so good is that if you don't know someone's username but need to add them to contact them or something, you can't. Snapchat could do with a better friending system, I understand that the one they have is probably to make it easier for users to stay private but it does take a little of the social aspect out of the service. If someone wants to send a Story to someone on Instagram though, they can easily search for users and add them without not necessarily knowing who they are. This could end up with some people receiving images from people that they don't want but for now, it means that Insta users are getting more views on their Stories then Snapchat users are on their Snaps as there's a wider base of users that they can draw from. There is a chance that Snapchat will add their own discovery section too but it might wind up being too late. People are used to Snapchat the way it is and it would be weird if anyone could add you on there. The other main issue could be monetization issues. Instagram are doing geat when it comes to bringing money in. As just a small feature on their app, they can still show the usual ads that pop up on the service. Snapchat, on the other hand, is suffering when it comes to advertisement. In the past, they've struggled with bringing in money. Sponsored ads and other things may bring in some and the future adverts in between stories will bring in more but Snapchat needs to be advertising things aimed at their younger audience which isn't easy. Snapchat won't be going anywhere anytime soon but they do need to make it easier for users to find each other as well as bringing in some more money if they really want to compete with Instagram.